Moonlight Path 2, originally uploaded by Dream On World. 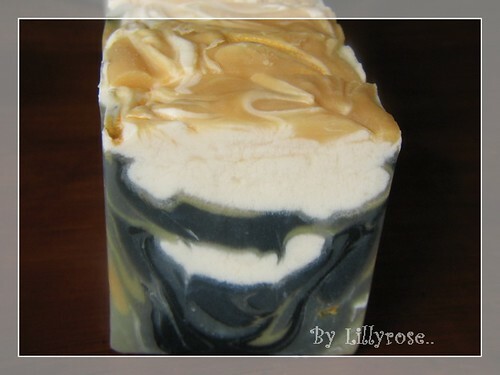 I was browsing some serious soap p0rn on Flickr and came across this delicious soapy beauty. It's incredibly eyecatching, and visually unusual, which always appeals to me. This is the kind of soap I would buy, the kind of soap I aspire to make. It really is very beautiful, and deserving of the title 'artisan'. 4 Response to "Moonlight Path by Lillyrose"
Ja, da stimme ich voll und Ganz zu! Eine wunderschöne Seife! That is one seriously gorgeous bar ! It really is incredibly beautiful.Very inspiring.